Netanyahu called the violence “the worst anti-Semitic attack in US history” and said that this is a “particularly heinous crime that we in Israel have unfortunately experienced as well.” Netanyahu wasn’t alone in Israel responding to the attack. Statements were released from the Yad Vashem Holocaust museum, President Reuven Rivlin and others. 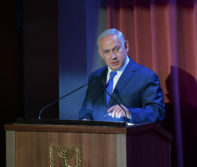 The Israeli government cabinet meeting observed a minute of silence before Sunday’s meeting in memory of those killed, according to an Israeli press release on the meeting. PM Netanyahu & US Secy. of the Treasury Steven Mnuchin. Photo Courtesy of Kobi Gideon (GPO). 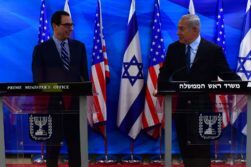 The top United States financial official visited Israeli Prime Minister Benjamin Netanyahu on Sunday, and in a sign of the times, their first topic named by Netanyahu to the press was not economics; it was Iran. 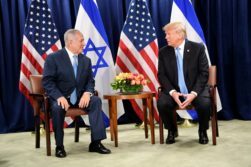 “This is what is going to occupy a great deal of our discussions today—how to stop Iran’s dual aggression: Its quest for a nuclear arsenal and its quest for a conventional arsenal and its plans of conquest in the Middle East,” said Netanyahu in comments released by his office during a meeting with US Treasury Secretary Steven Mnuchin. As head of the US Treasury, Mnuchin is key to enforcing US sanctions on Iran, which are ramping up even more in November when oil restrictions go back into effect. And those aren’t the only increase in sanctions. Additional moves were announced last week by the US after they discovered who is paying for an Iranian militia to use child soldiers. PM Netanyahu addresses ceremony marking opening of US Embassy in Jerusalem. Illustrative. Another nation a world away from Israel is contemplating moving their embassy to Jerusalem. Australian Prime Minister Scott Morrison on Monday was quoted by The Guardian as saying that he and his government are “open-minded” to the move and referenced the idea as a “sensible suggestion.” The same day Morrison made the comments, Israeli Prime Minister Benjamin Netanyahu spoke with his Aussie counterpart about the idea of transferring of their embassy to Israel from Tel Aviv to the Jewish capital. Will peace return to the Israel-Syria border region? 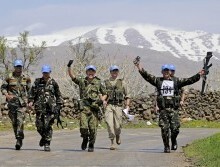 Golan Heights UN Peacekeepers. Illustrative. Photo Courtesy of UN Photo/Wolfgang Grebien. The Syrian civil war rages on and Israel continues to be concerned by Iran’s presence in their northern neighbor, but nonetheless this week a small step towards normal will be achieved when the Quneitra Crossing between Israel and Syria in the Golan Heights will be re-opened. While this doesn’t signal any type of normalization of relations between Israel and Syria­—rather it is a reminder of their unresolved war—it at least enhances the United Nations peacekeeping between the sides. A press release last week from the United States Mission to the UN notes that re-opening the border crossing “is part of an ongoing effort” by UN peacekeepers in the UN Disengagement Observer Force (UNDOF), whose mandate includes maintaining the Israel-Syria ceasefire. 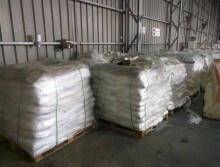 Illustrative example of goods shipped to Gaza. Photo courtesy of the Israel Tax Authority. Israel and an Arab state are coordinating to help Gaza, and the Palestinian Authority (PA) is not happy about it. Qatar has provided funding for multiple truckloads of fuel for the power plant in the Gaza Strip, and the first of the trucks entered the coastal enclave on Tuesday via Israel’s Kerem Shalom crossing, according to the Ma’an News Agency. The report by Ma’an, a Palestinian agency, said that because the Qatari support was not done in conjunction with the PA, the Palestinian governmental body led by PA President Mahmoud Abbas was opposed to the assistance. The Palestinian Authority is run by Fatah, the political rival of Hamas, which rules the Gaza Strip. The PA’s objecting to providing their own people in Gaza with assistance is not new. Israeli Prime Minister Benjamin Netanyahu had lamented it last week and his Arabic-language spokesman Ofir Gendelman leveled his own criticism of Abbas in an Arabic Twitter post on Tuesday, the same day the Qatari-funded fuel was delivered to Gaza. 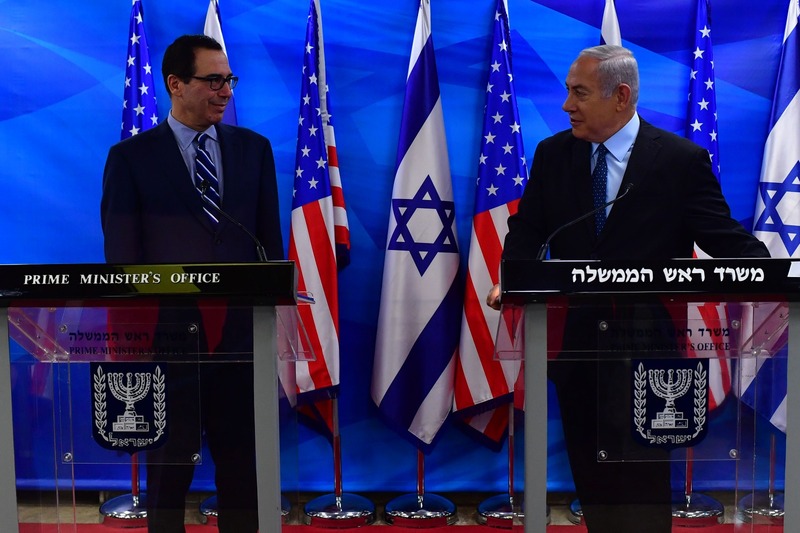 The United States’ ten-year, $38 billion military financing package for Israel officially started yesterday, and the Americans weren’t coy about one of their main concerns for Israel: threats from Iran. 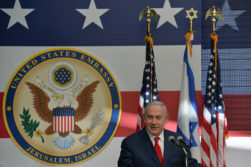 “Israel is a valuable and capable ally to the United States that today faces dangerously escalating regional threats, first and foremost from the Iranian regime’s sponsorship of terrorist groups seeking to attack not only Israel but also American interests,” said a statement from US spokesperson Heather Nauert in a State Department press release.